How do case studies help B2Bs convert leads? Case studies are powerful assets for B2Bs. In a survey by eMarketer, 62.6% of respondents said that case studies were effective in generating leads. Let’s say you have decided it's time to buy a CRM for your startup. You're going to jump on Google and research all the options. If you can see detailed examples of companies getting results from a particular CRM, you're going to be intrigued. This is the effect you want to have on potential leads with your own client case studies. What should be included in a B2B case study? A case study will convey, at a minimum, what a client’s problem was, what your company’s solution was, and what the results were. Even better, particularly when selling to businesses with multiple stakeholders, is a case study that can paint a 360 degree picture of what it’s like to work with you. For example, for one case study I wrote for Hubbub, I spent time interviewing the client in person and also gave them a written questionnaire. This was to truly understand how the client experienced working with Hubbub before then condensing the information into a case study. What did you find most helpful about our product implementation process? Which features of our product do you use most frequently? How would you describe the support you receive from us? 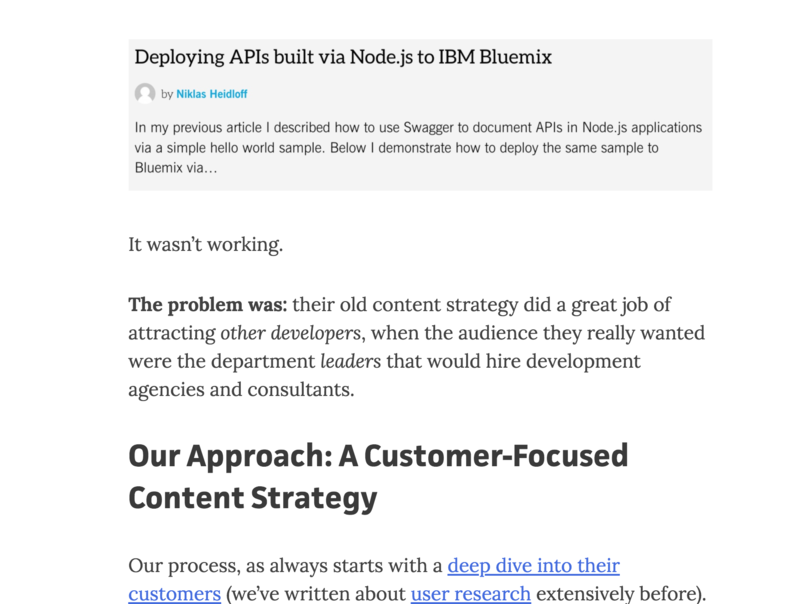 About: Grow & Convert run companies’ entire content marketing operation. Devesh and Benji from Grow & Convert are masters of the long form case study! Content Strategy Case Study: 10,000 Hyper-Targeted Visitors in 3 Weeks packs heaps of value and social proof. Devesh show precisely what they did to help their client, Modernweb. Modernweb had failed with its content marketing efforts in the past and Devesh explains how he turned that around. In the case study, he doesn’t briefly show the typical format of problem, solution, results. He goes above & beyond; demonstrating precise tools and tactics used to most minutiae of detail. From target audience research, to building a content strategy, to delivering it; it’s clear that you’ll get results if you work with Grow & Convert. See more of Grow & Convert's long form case studies here. There are also lots of long form educational case study examples from NetPeak here. I tried to emulate this approach of in-depth detail for my own case study, 'how i got 237 #B2B leads through webinars in 8 weeks’! The following case study examples demonstrate social proof in simple, one page formats. These are perfect examples to emulate if you’re an under-resourced startup! About: Landing Lion enable businesses to easily create smooth landing pages that rank well. 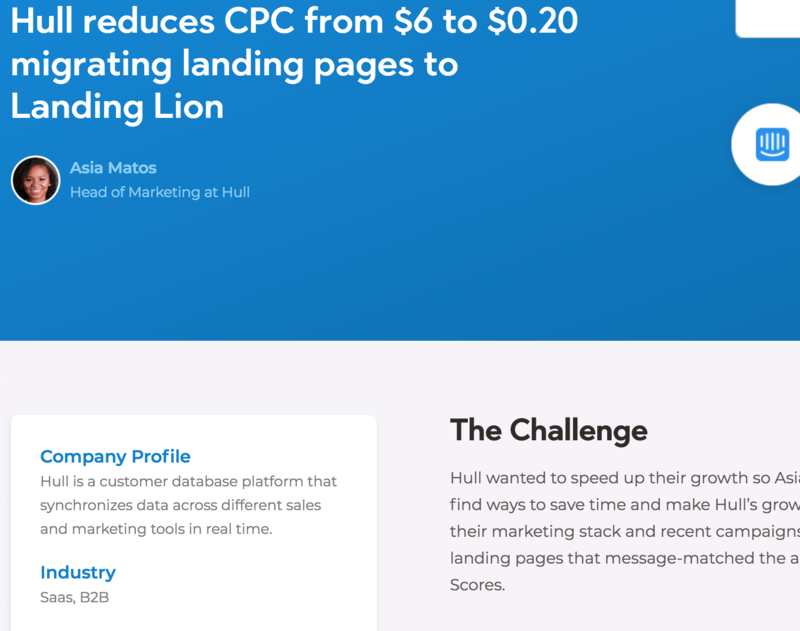 Landing Lion have a beautifully designed and well structured case study: Hull reduces CPC from $6 to $0.20 migrating landing pages to Landing Lion. Firstly it's super quick to scan read as there is a short summary about the client's results in a box on the top left. The main body of the case study has a simple 3 part structure; ‘The Challenge’, ‘The Solution’, ‘The Result’. Each part includes a testimonial quote from the client. Again, the structure here has readabiliy in mind as each testimonial quote stands out in white boxes. About: Hubbub help nonprofits inspire, ignite and grow cause-led movements through digital. Hubbub’s case study (I may be biased as an ex-employee 😉) consists of 3 short sections, a screenshot and some stats. Simple and to the point. It also has the personal touch of being written from the perspective of the client. 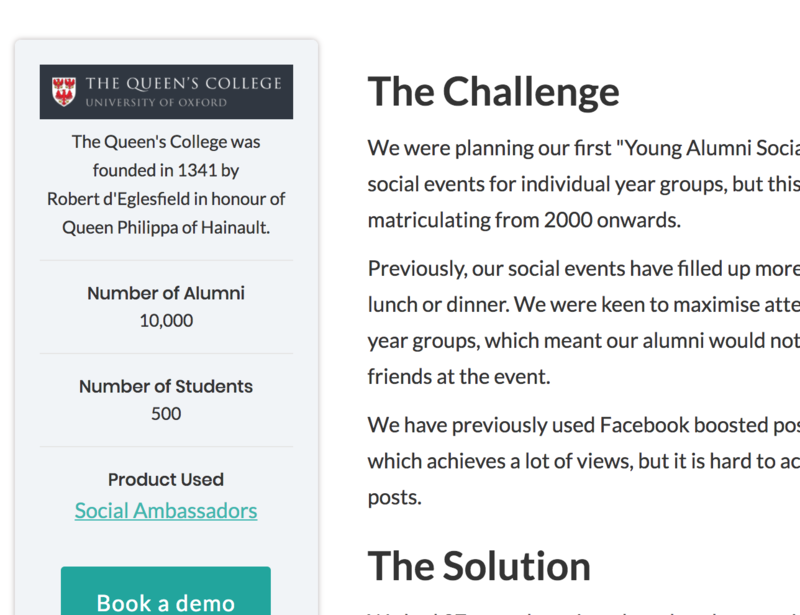 How The Queen's College, Oxford increased reunion attendance by 43% in 3 days. About: Bitly is a URL shortener and link building platform. 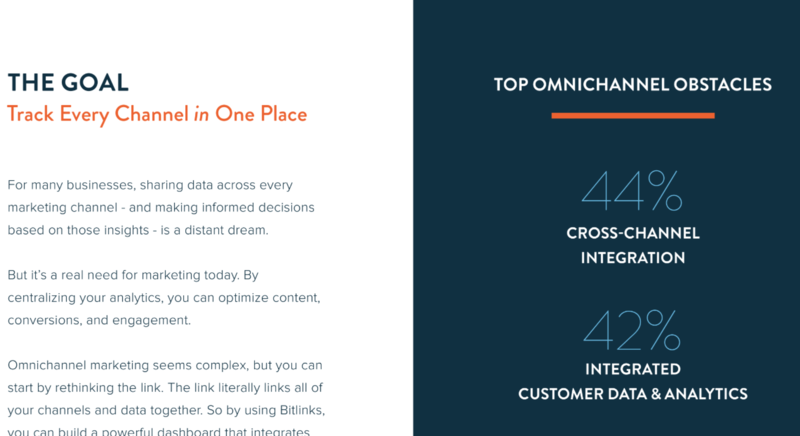 Bitly’s case study is an elegantly designed one: well branded, lots of space and easy to read. It shouts ‘professional’. The design of your case study is something to think about in terms of easy readability and demonstrating professionalism. If you’re new to case study creation, I recommend checking out HubSpot's walkthrough guide-->> The Ultimate Guide to Creating Compelling Case Studies. If you would like me to put together a case study for your B2B get in touch here!